Former Chief of Staff explains how IDF foiled Hezbollah’s plan, discusses the four threats to Israel’s security. 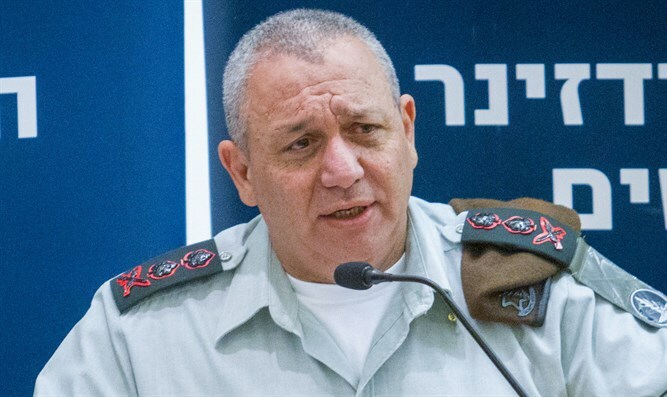 Former IDF Chief of Staff Gadi Eizenkot on Monday morning received a certificate of appreciation for his contribution to the State of Israel and its security. “The security challenges which Meir Dagan faced, from the time he enlisted in the IDF until he finished his term as Mossad chief, give a historical perspective and a peek at the future. Eizenkot also discussed Hezbollah’s plans to attack Israel. “The fourth threat is a cybersecurity threat, and it’s a threat which in recent years has begun growing stronger in the State of Israel. There is no doubt that this is a significant threat which will occupy us more and more in the future. “The unwritten way we understand security and the IDF’s strategy lay the foundation of ideas for how the IDF will allow Israel to continue to develop and flourish despite the changing security threats. It’s the understanding that there are psychological and other aspects which help express Israel’s superiority, as well as the secret efforts of secret organizations.